It’s an evergreen combination that’s incredibly versatile: the jeans and blazer outfit. But if you think this pairing is just for a casual look, you should think again. With so many different kinds of jeans, blazers and accessories, the jeans / blazer style fits almost every occasion. You can opt for a traditional look, feminine look or semi-formal look. You can choose skinny jeans, flares, ripped jeans or even print jeans. By mixing and matching your separates, you can create any look you like. When you think of a blazer, the classic jacket is probably uppermost in your mind and this combo is certainly a deservedly popular choice. 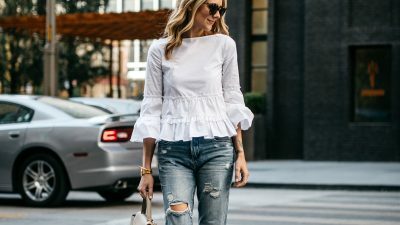 Skin-tight ripped jeans and a pretty top with lacy panel look great when worn with a classic black blazer – sky-high stilettos add even more emphasis to your shapely legs. For a muted colour palette, try a pair of black faded jeans with fashionable rips, worn with a plain dove-grey top and wide-lapelled black blazer, with black ballet pumps for the finishing touch. Low-rise stretch denims, together with a plain white tee and short tailored black jacket makes a simple but stylish combination, especially when you add a touch of colour with a vibrant neck scarf. A military-style buttoned blazer makes the perfect match for rolled-up jeans and a long-sleeved stretch tee, and you can make it look even better with a large-buckled leather belt and converse sneakers. Or capture the air of the polo match with denims and a single-buttoned black jacket, worn with a white shirt with folded cuffs and knee-high boots. Making almost as strong an impression as black, blazers in navy or brown can also make just the right kind of impact. Dark blue skinny jeans with a vibrant floral print top and single-button navy blazer makes a striking combination, whilst a bolero-style navy jacket over white jeans and a striped tee gives a jaunty nautical air. Browns and tans always look fabulous with jeans, especially when picked up by your shoes or boots. Show some Spanish matador flair with a short tailored brown blazer with decorative closure, together with black stretch jeans and a crisp white shirt – tooled leather cowboy boots lift this outfit from great to outstanding. 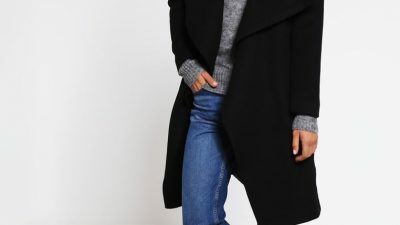 Or wear a close-fitting short jacket over a longer pale knitted tunic and skinny jeans, with long heeled brown suede boots to make your legs look amazingly long. If you’re aiming for a slightly more feminine look, you can achieve this by choosing a lighter toned blazer. A dazzling white blazer with side pockets and buttoned cuffs looks superb when teamed with ripped denim skinny jeans and a white shirt, and you can add even more dazzle by sporting a pair of high-heeled lace-up sandals. White blazers could have been made to go with faded pale blue jeans, such as an outfit with boyfriend jeans, gentle grey top with decorative neckline and soft white blazer. And a subtle cream three-quarter sleeved blazer with matching top look amazing against dark ripped denims; neutral pointed heels and understated clutch bag are the ideal accessories. Floral print denims are also a great choice to wear with a short styled white blazer and plain white tee, or try a pair of roll-up jeans with tunic-style striped monochrome top and thigh-length white blazer with neutral platform mules for added height. Pastel-toned pinks, baby blue and powder green also give your blazer and jeans ensemble extra feminine appeal. 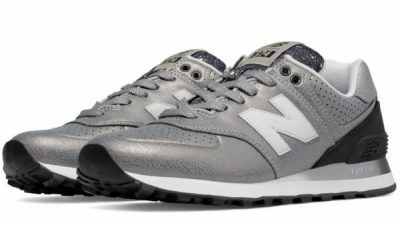 These are best matched with soft denim colour or white jeans, together with a delicate-hued top to keep the soft impression. It’s surprising how effectively you can style your blazer and jeans combo by picking neutral tones for your blazer. A sand-coloured single-button blazer together with classic blue jeans, a three-quarter sleeved blouse and sand ballet pumps makes a beautifully understated outfit – pick out a single rainbow colour with your jewellery and clutch bag for a little zing. Or try a delicate monochrome plaid blazer with triple-buttoned cuff detail and single front button. Worn with skinny blue jeans, a plain tee and smart Oxford brogues, this is definitely a winning combination. But of course, you can make a truly dynamic impact by choosing a bold and beautiful colour for your blazer, making it the focal point of your outfit and getting you noticed for all the right reasons. Jewel tones such as deep turquoise, rich magenta and jade green all create a gorgeous impression, whether teamed with classic blue denim, refreshing white or streamlined black jeans. French blue, mouth-watering peppermint and citrus orange are also popular, again looking unbelievable with a host of different jeans styles. Or for a totally stunning impact, step it up a level with cardinal red or hot pink to really stand out from the crowd. One simple way to ring the changes with the same outfit is to vary your footwear and the blazer with jeans outfit looks wonderful whatever your choice. For a sporty look, try converse sneakers or classic trainers, or emphasise your delicate side with little ballet pumps, flats or flip-flops. You can strut your stuff amazingly with heels, whether that’s deliciously pointed stilettos, a plethora of laces or pretty strappy sandals. And every kind of boot matches well with jeans and blazer outfits, including short boots, work boots or long knee-length versions. Emma Hill is wearing a blazer in a playful shade of pale pink, paired with roughly cut-off denim jeans, a grey tee, and pastel coloured flats. Bag: Gucci, Shoes: Revolve, Blazer: Zara. Match denim jeans with a blazer to get this effortlessly chic style which Lucy Connelly is rocking. She pairs a navy blazer with a grey V neck and jeans to create this look. Sasha Simon wears a double breasted camel blazer with an open white button down and distressed denim skinny jeans to create this elegant work-ready style. Annabelle Fleur is rocking this gorgeous androgynous style, consisting of a bell sleeved white tee, distressed denim jeans and a smart grey blazer. Wear this style when you want that perfect hybrid of smart and casual! Nothing says smart casual like a blazer and jeans outfit. We love the contrast of the distressed denim and the sleek black blazer which Helena Glazer has created. Blazer: Helmut Lang, Denim: Levis, Tee: Vince. Shoes: Alaia, Bag: Chanel Maxi. Pam Hetlinger proves you can never go wrong with the basics – a pair of jeans with a white shirt and a black blazer and heels! You can almost never go wrong when wearing camel. By pairing this gorgeous blazer with denim jeans and a pair of wedges, Anh has created a smart casual style which is perfect for everyday wear. Throw on a pair of shades to really bring this fabulous look together! Blazer: Banana Republic, Blouse: Everlane, Jeans: FRAME Denim, Bag: Celine, Heels: Gucci. Jacey Duprie shows us how a blazer will make a fabulous alternative to a leather jacket or bomber when worn with simple denim jeans! Finish this look off with a cross body bag and loafers to steal Jacey’s awesome style. Blazer: Rag & Bone, Loafers: Gucci Horsebit. A navy blazer will go beautifully with a pair of dark denim jeans. Lorna Luxe rocks this smart casual look, exuding vibes of effortless sophistication. Turtleneck: Lindex, Blazer/Blouse: Gestuz, Jeans: Donna Ida Denim, Bag: Fendi. 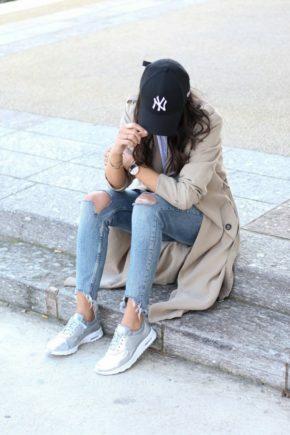 Wear your camel coloured blazer with rolled up jeans and a horizontal striped tee to steal Annabelle Fleur’s look. Alternatively, wear a similar number with a plain tee and black jeans to switch the look up. 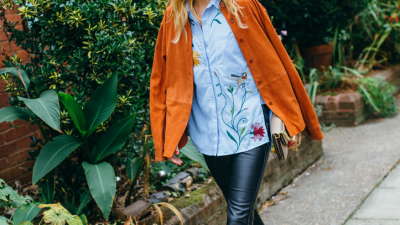 Katarzyna Tusk totally rocks this look of skinny jeans, a floral shirt and navy blazer! It can be refreshing to reinvent classic looks, so instead of a leather jacket or bomber, why not opt for a blazer and jeans combination this season? Brenna has created the perfect blend of smart and casual with this outfit – we love the playfulness of the ripped jeans and cropped top. Pairing a blazer with distressed denim jeans is a great idea if you’re looking for an outfit which is both casual and somewhat elegant. 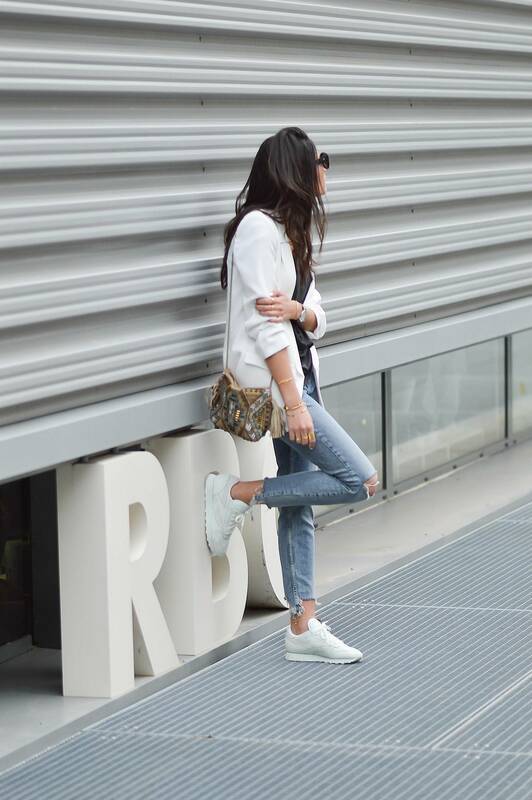 Federica L. has chosen to wear a white blazer, creating a smart style which we love! Wearing a sophisticated grey blazer with rolled up jeans and black stilettos has given Christine Andrew an effortlessly stylish look in no time at all! We really recommend this simple but effective style! Blazer: intermix, Top: ILY Couture. Sharareh Sophia Hosseini demonstrates exactly how to pull off the all-white look, pairing a gorgeous double breasted blazer with distressed white jeans and a pair of white stilettos. Blazer: H&M, Jeans: Bikbok, Heels: Have 2 Have, Sunnies: Celiné, Clutch: Saddler. Erica Hoida pairs distressed skinny jeans with a white blazer and matching gladiator heels for the best out and about look! Style your grey blazer and jeans like Kat Tanita by wearing the two with a plain white tee and a cute knitted scarf. Blazer: Club Monaco, Scarf: Missoni, Shirt: Alexander Wang, Jeans: Current Elliott, Heels: Jean Michel Cazabat.